PRESS RELEASE – Seventy years ago today, Allied leaders met at the Yalta Conference in Crimea to begin their discussions of the structure of post-World War II Europe. 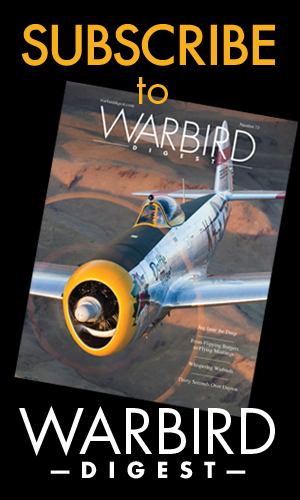 To honor the heroes who fought in the War and those on the home front who produced the tanks, ships, and aircraft that enabled the United States and its Allies to achieve victory, one of the most diverse arrays of World WarII aircraft ever assembled will fly above the skies of Washington, D.C. on Friday, May 8, 2015, the 70th anniversary of Victory in Europe (VE) Day, as part of the Arsenal of Democracy: World War II Victory Capitol Flyover. As part of a thrilling three-day celebration in the nation’s capital, the May 8 event will coincide with a ceremony for veterans at the World War II National Memorial, followed by a vast assortment of World War II aircraft flying overhead in historically sequenced warbird formations. The formations will represent the War’s major battles, from Pearl Harbor through the final air assault on Japan, and conclude with a missing man formation to “Taps.”The event will also be commemorated in a special May issue of Air & Space magazine dedicated to the airplanes and airmen who fought in World War II that will feature historic “spotter cards” of the aircraft. These cards will be used by students and others to identify the aircraft in the flyover and to learn more about the history of World War II. 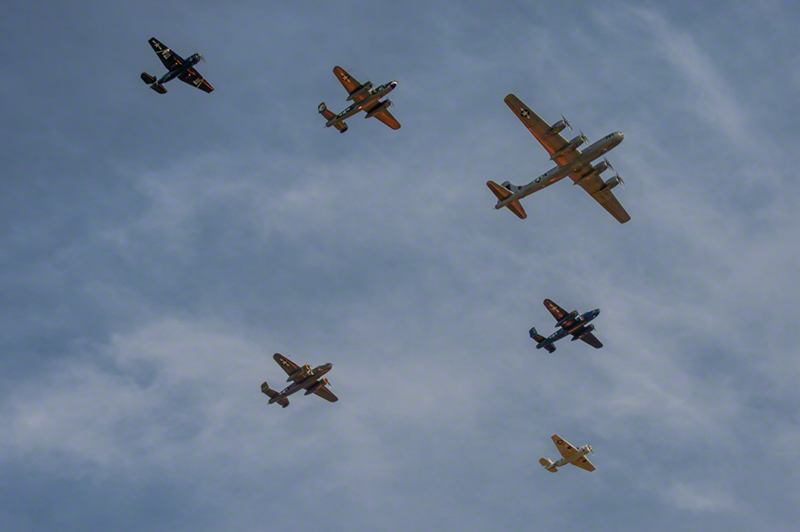 Approximately two dozen different types of vintage military aircraft are expected to participate in the flyover. 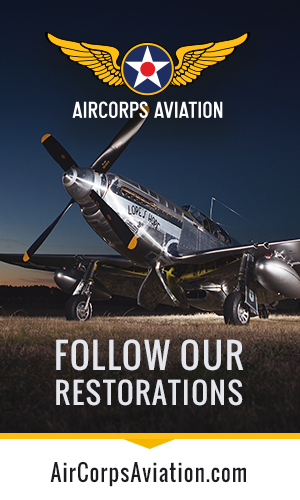 Aircraft are being provided by multiple organizations and individuals whose mission is to preserve these historic artifacts in flying condition. 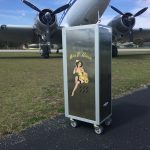 These organizations include the largest vintage military aircraft organization, the Commemorative Air Force—providing fighter and bomber aircraft, to include the only flying B-29 Superfortress FIFI. 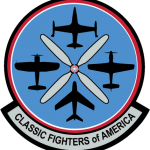 Additionally, organizations such as Texas Flying Legends, Fighter Factory, and Fagen Fighters have thus far committed multiple aircraft, along with a number of individual owners. 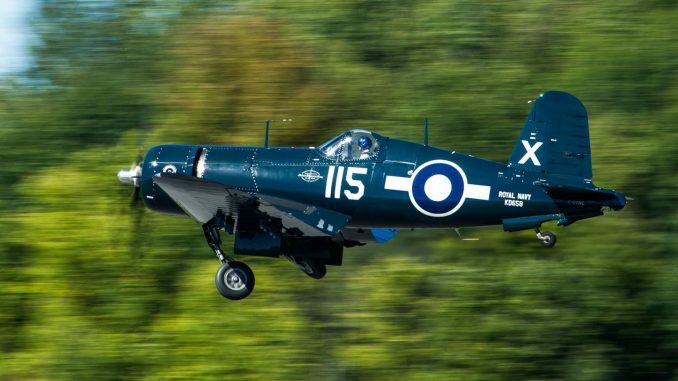 The historical aircraft expected to participate include the P-40 Warhawk, P-39 Aerocobra, P-38 Lightning, P-51 Mustang, P-47 Thunderbolt, FG-1D Corsair, B-25 Mitchell, B-17 Flying Fortress, and many others. The United States manufactured about 300,000 aircraft, 2.4 million military vehicles, and 124,000 military ships to support the War efforts. The ramp-up in manufacturing was extraordinary. Before entering the War, for example, annual production of military aircraft was less than 6,000 aircraft in 1939, but after President Franklin D. Roosevelt called in a May 1940 speech for 50,000 aircraft to be made each year, production rose dramatically—reaching its peak in March 1944, when 9,000 planes were produced that month. Millions of American men andwomen worked on the home front to manufacture the aircraft, ground vehicles, and ships that significantly propelled U.S. and allied forces to victory. In addition to the actual flyover, the Arsenal of Democracy events will include a gala dinner on Thursday, May 7, 2015 at the Smithsonian National Air and Space Museum. The dinner, which will pay tribute to World War II veterans, will feature combat heroes sharing theirpersonal stories of experiences in the European and Pacific theaters. The Arsenal of Democracy Executive Committee includes Stephan C. Brown, President and CEO of the Commemorative Air Force (CAF); Pete Bunce, President and CEO of the General Aviation Manufacturers Association (GAMA); John Cudahy, President of the International Council of Air Shows (ICAS); Paul Rinaldi, President of the National Air Traffic Controllers Association (NATCA); and Doug Rozendaal of the Texas Flying Legends Museum. Former President George H.W. Bush, former U.S. Senator Bob Dole (R-KS), and former Dean of the U.S. House of Representatives John Dingell (D-MI), all World War II veterans, are the Honorary Co-Chairs of the Arsenal of Democracy. U.S. House General Aviation Caucus Co-Chair, Representative Sam Graves (R-MO), andlong-time aviator U.S. Senator James M. Inhofe (R-OK) serve as co-chairs of the Honorary Congressional Committee.Other members of the Honorary Congressional Committee include Speaker John A. Boehner (R-OH), U.S. Representatives Corrine Brown (D-FL), Chris Collins (R-NY), Richard Hudson (R-NC), Duncan Hunter (R-CA), Adam Kinzinger (R-IL), Dan Lipinski (D-IL), Michael McCaul (R-TX), John Mica (R-FL), Rick Nolan (D-MN), Mike Pompeo (R- KS), Harold Rogers (R-KY), Bill Shuster (R-PA), Chris Stewart (R-UT), and Marc Veasey (D-TX), and U.S. Senators Roy Blunt (R-MO), John Boozman (R-AR), Thad Cochran (R- MS), John Cornyn (R-TX), Heidi Heitkamp (D-ND), Johnny Isakson (R-GA), and Ron Johnson (R-WI). “Our WWII veterans are living testaments to the valiant sacrifices during uncertain tyrannical times. They protected our nation and secured freedom for future generations. Now, 70 years later, it is important to continue to recognize their valiant sacrifices notonly through public service events, but always. It is an honor to participate in such events as a veteran and a pilot, and it is an honor to preserve the memory of WWII veterans’ heroism.”— U.S. Senator Jim Inhofe (R-OK) “With this year’s 70th Anniversary of Victory in Europe, we once again have the opportunity to celebrate and honor the extraordinary sacrifices made by our World War II veterans. These brave men not only defended our freedoms here at home, but protected the world from the clutches of tyranny and genocide. As a pilot, a public servant, andmost importantly, as an American, I am extremely proud to be a part of this momentous event.”—U.S. Representative Sam Graves (R-MO). 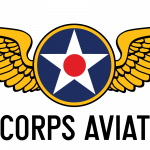 “In 1957, the Commemorative Air Force began an effort to preserve and honor our nation’s proud military aviation tradition by maintaining and flying World War II aircraft. 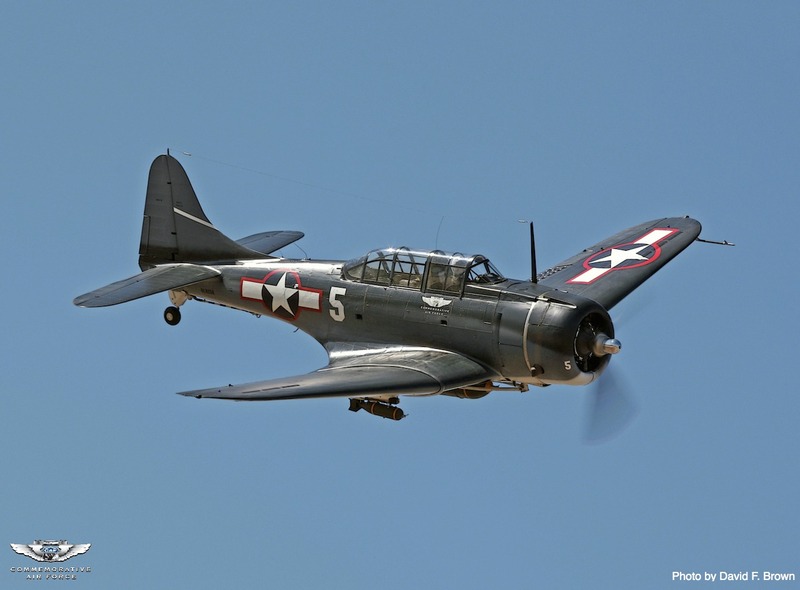 Our fleet, the largest flying collection of military aircraft, now stands at 162 airplanes, which are preserved and flown across America by our membership of over 12,000 individuals. 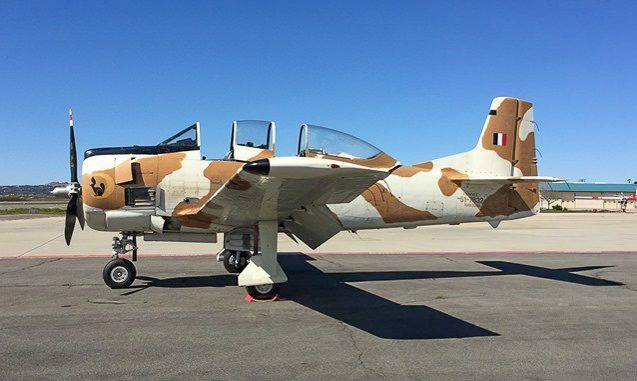 We are thrilled to be participating in the Arsenal of Democracy Flyover with 29 of our aircraft. 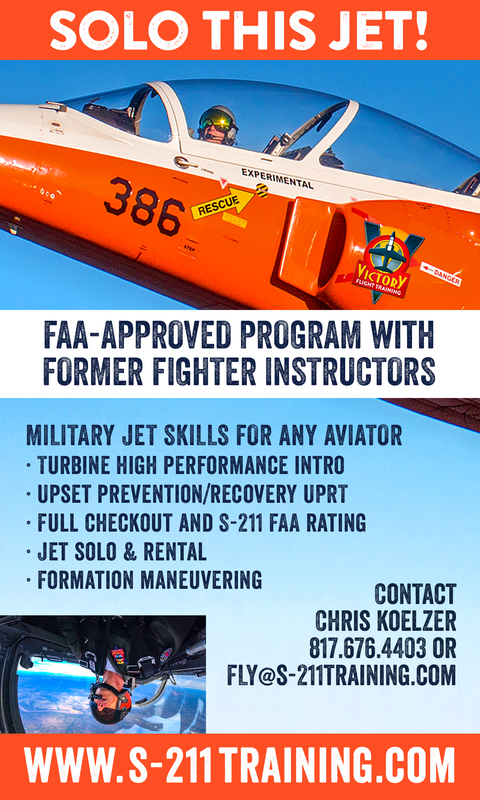 This is an incredible opportunity to see U.S. military aviation history come to life by watching these aircraft fly and accomplishes our educational goals as an organization.”—Stephan C. Brown, President andCEO, Commemorative Air Force. “It is a huge task to coordinate a flyover of this magnitude in the Washington, D.C. airspace. We are very appreciative of the close coordination and support we have received to date from federal entities such as the FAA, TSA, Secret Service, U.S. National Park Service, and Capitol Police, just to name a few. In World War II, our nation came together to manufacture the machines that our military took to battle, and our hope is that this 70th anniversary tribute will do the same—bring our nation together to honor all our World War II veterans who served and sacrificed to defeat tyranny, both in uniform and on the home front.”—Pete Bunce, President and CEO, General Aviation Manufacturers Association. “From time to time, we need to remind ourselves just how much we have accomplished as a nation. May’s Arsenal of Democracy Flyover in Washington, D.C. will provide us with exactly that kind of opportunity—a chance to recognize those men and women who made the sacrifices necessary to preserve freedom here at home and around the world, a moment in time to reflect on the awesome power of this country and its people when we focus on a common goal.”—John Cudahy, President, International Council of Air Shows. 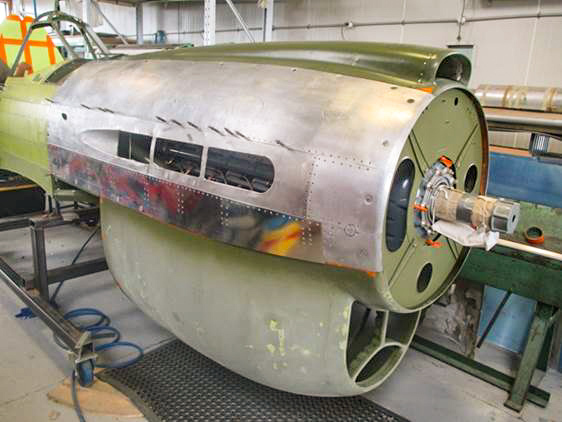 “As a part of our ongoing mission, it is an honor for the Texas Flying Legends Museum to be involved in a cooperative effort to honor the men and women who have defended and continue to defend our way of life. 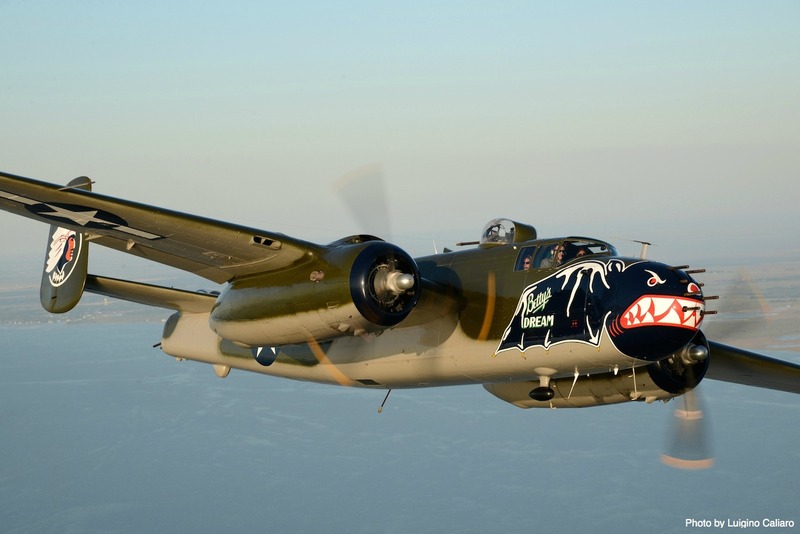 The aircraft being supplied by the Texas Flying Legends Museum represent aircraft from practically all facets of the air war in WWII. 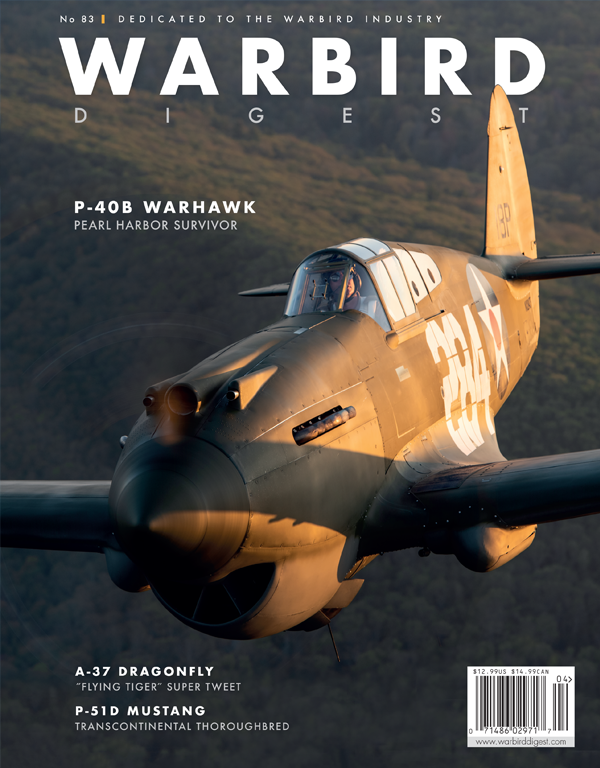 We are extremely proud to be able to provide the missing man formation that will honor those who have made the ultimate sacrifices for our country.”—Texas Flying Legends Museum Director of Operations Warren Pietsch. “NATCA and the 20,000 aviation safety professionals we represent are very proud and honored to be part of this year’s Arsenal of Democracy Flyover event. Our members are proud public servants who have a deep passion for aviation and a rich appreciation for history. 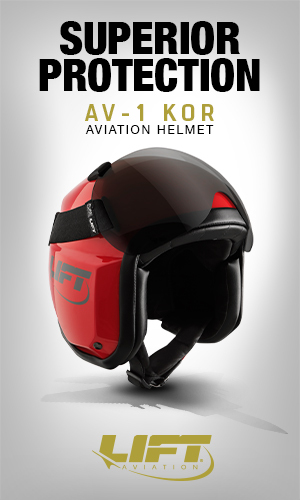 We also represent many members who are military veterans. This event gives us an opportunity to show our respect for a key anniversary in our nation’s history by commemorating it with honor.”—Paul Rinaldi, President, National Air TrafficControllers Association. 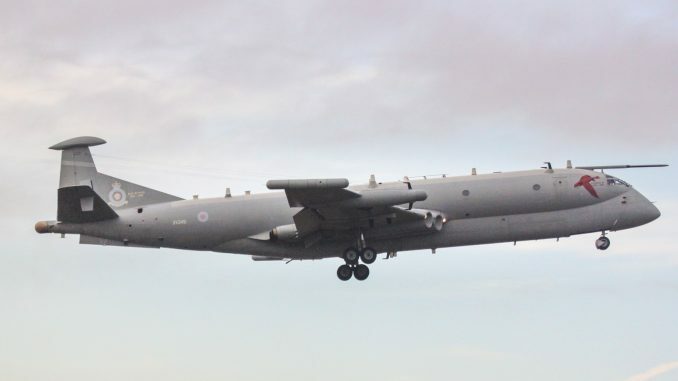 ** The aircraft listed have agreed to participate in the flyover, but due to factors such as weather or mechanical issues, participating aircraft are subject to change without notice. 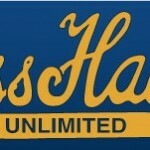 The most accurate information can be located on the website at www.ww2flyover.org. More information about the Arsenal of Democracy flyover and sponsorship opportunities are available on the website at www.ww2flyover.org. Members of the media should contact Mary Lynn Rynkiewicz of General Aviation Manufacturers Association at (202) 637-1375 or marylynn@gama.aero or Stephan C. Brown of the Commemorative Air Force at (850) 978-2736 or sbrown@cafhq.org for additional information. What is the planned route of the aircraft or has one been made yet? No official plans were made yet Chris. When do you expect the flyover routing will be identified for those wanting to position themselves best for the event? At which airport or airports will the aircraft be based? Charles, the airport at Culpeper Virginia has been mentioned in an article in the Fredericksburg Free Lance-Star on February 7, 2015. 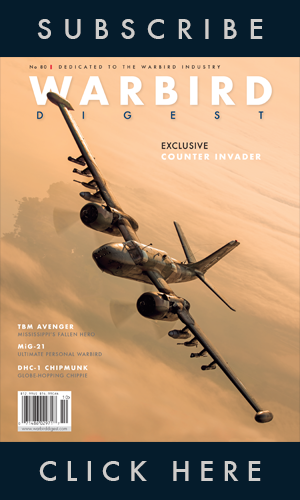 I don’t know if it can accomodate a B-29, but sounds as though it will be playing a major part in this gathering (as mentioned in AOPA AviationeBrief today. 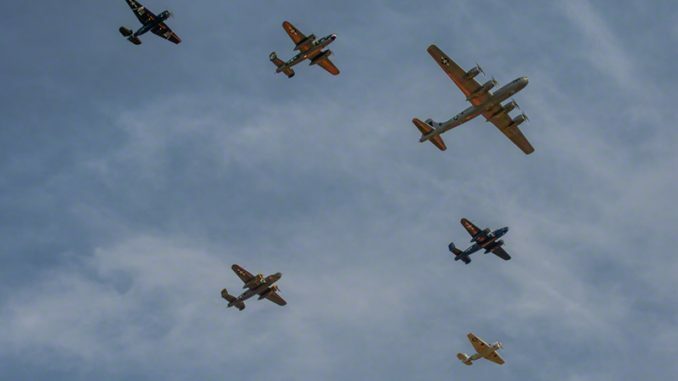 The same article goes on to say that the B-24, B-17’s and the B-29 will stage at Manassas Airport in Northern Virginia. Unofficial info is that the bombers will be at the Manassas Airport, and smaller craft at Culpepper. Any from new England that’ll fly over metro boston south OR fly up the coast to Boston & pounts north ? Will the Thursday, May 7, gala event at the Air & Space Museum be open to the public? 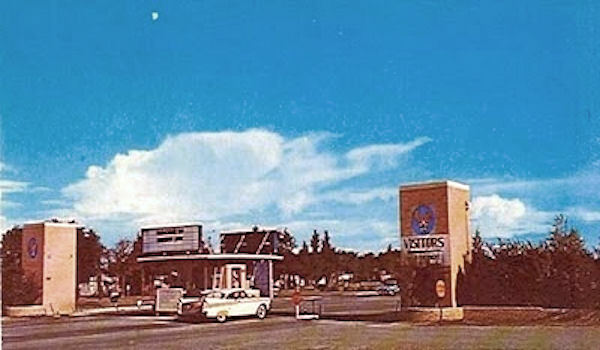 members of the Loudoun VFW Post 1177 Auxiliary would like to see as much as possible from outside the city. Know the planes have to fly north to the Potomac River and then south to the city. would love to position ourselves so as to watch them on their way. Will they fly near Dulles, I know they will fly there on their way back to park at udva-hazy? My dad jumped out of one of them into Normandy!!! They flew for 30 minutes over my house in western Loudoun, getting ready. Better than going to Oshkosh for the air show. Thank you for bringing our heritage back to us.